Post Tagged with: "Puerto Vallarta"
Some countries are just spoiled for choice when it comes to amazing locations for first class vacations. Mexico is certainly one of the countries in the world most favored by nature. There are many wonderful destinations where you can enjoy a vacation in Mexico, a country specializing in beach vacations and sunny getaways. Among the best Mexico destinations are Cabo San Lucas, Puerto Vallarta (and Nuevo Vallarta), Loreto and Cancun. Cabo San Lucas and Loreto are two of the most distinctive beach destination on Mexico’s Baja Californian coast. Cabo San Lucas is positioned at the very tip of the peninsular surrounded by desert landscapes, cactus and stunning sandy beaches. Its infrastructure of world class hotels, amazing golf courses, clean beaches, gourmet dining and colorful nightlife, make it a top choice for a beach vacation. Loreto on the Sea of Cortez is a refined beach resort town steeped in colonial history and quaint charm. The destination offers ecological tourism and activities that bring nature and man together in harmony. This is a great place for diving and snorkeling while the peace and quiet makes relaxing unavoidable. On the Pacific Coast, Banderas Bay is poised to receive visitors from all over the world offering the very best that Mexico tourism has. Banderas Bay is home to Puerto Vallarta and Nuevo Vallarta (Riviera Nayarit) and is a multifaceted location with something for everyone. The mountainous surroundings and the luminous ocean make it a unique destination and one that morphs into an ever more sophisticated location as each season passes. Fine dining, art galleries and chic living abound in Puerto Vallarta and Nuevo Vallarta. When it comes to the idealized version of a beach location, thoughts of the white sands of the Caribbean and the turquoise ocean frequently spring to mind. 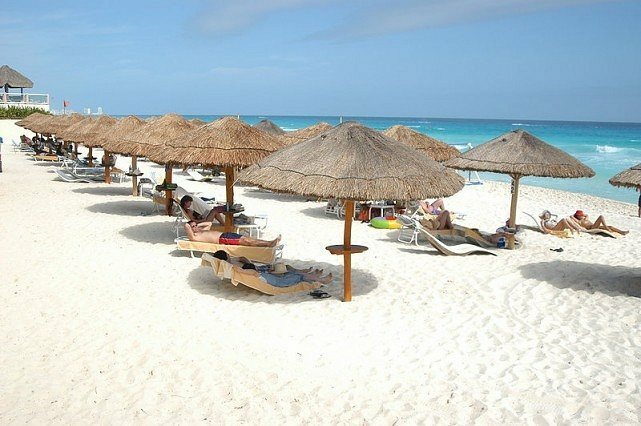 Cancun is such a destination with an incredible stretch of white sandy beach and string of superb hotels and resorts offering all kinds of packages, from All inclusive, European plan to golf getaways. All this together with a cultural history that stretches back to ancient times when the Mayan empire dominated the region, whose remains are peppered around the whole area in the form of archeological sites. There really is no end to the wonders that Cancun has to offer.